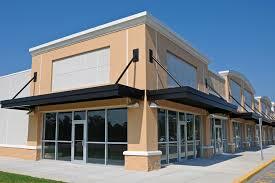 Sales, service and installation of all types of HVAC equipment to meet your commercial building needs. The main job of Hy-Tech HVAC is to make sure the HVAC system is of the best quality to keep your customers and employees comfortable. Hy-Tech HVAC provides complete commercial HVAC service for clients in and around the Pittsburgh area. They have certified trained technicians who understand how to troubleshoot and repair all of your commercial heating and cooling equipment. If you have issues and need assistance with your commercial HVAC, then our technicians will be there to identify the source of the problem and perform the proper repairs. If you want the best commercial heating and air conditioning services in Pittsburgh, then call the professionals today at Hy-Tech HVAC (412) 881-8334.